Dangerous driving in Scotland is a serious charge. A dangerous driving conviction carries disqualification from driving for at least 12 months and you have to pass an extended driving test. A £5000 fine and/or a prison sentence of up to 6 months may be imposed. In more serious cases you can go to jail for 2 years. Causing death by dangerous driving in Scotland carries a prison sentence of up to 14 years. Does Experience Matter in Dangerous Driving? Experience is often relevant to the sentence imposed but not in establishing whether or not the driving was dangerous. The test applied by the Court is an objective test - Was the driving dangerous? Did it fall far below the expected standard? Was it obviously to others that it fell far below the expected standard? Dangerous Driving Points? How many will I get? A conviction for dangerous driving will always result in at least 12 month ban and a resit of your driving test unless special reasons are established which allows the Court to impose between 3 and 11 penalty points (3-9 for 'furious driving'). It is rare for a Court to deal with dangerous driving by penalty points. What are the time limits for a Dangerous Driving Charge? You must be warned in person at or around the time of the alleged offence or in writing within 14 days. Thereafter there are no time limits for the prosecution of an allegation of dangerous driving. In most driving offences a strict 6 month time limit applies from the date of the offence to the service of papers. The time limit does not apply to dangerous driving as it is an 'either-way offence' - this means that it can be prosecuted in front of a jury and that removes any time limit. The Court will always have regard to the fairness to a driver when assessing whether a prosecution can proceed if it has taken a long time to get to Court. How long does Dangerous Driving stay on your driving licence? A dangerous driving charge will remain on your driving licence for a period of 4 years from the date of the conviction - for example: date of conviction - 1st April 2017 stays on your licence until midnight on 1st April 2021. In reality, it may take a few days beyond 1st April 2021 for DVLA to amend your record. What are the Dangerous Driving Offence Codes? The offence codes for dangerous driving that are recorded on a driving licence upon conviction must remain on the licence for 4 years from date of conviction. The most common offence code is DD40 - dangerous driving. Will My Insurance Premium Increase After Dangerous Driving Conviction? In a word: 'Yes'. Insurers will rarely insure someone who has been convicted of dangerous driving without adding a significant increase to their premium - some insurers may deny cover altogether. A conviction for dangerous driving will stay on your driver record for 4 years but insurance companies may ask you to declare any convictions for a longer period - i.e. 5 or 7 years. Failure to tell your insurance company the truth about your previous convictions may invalidate your insurance. For over a decade Michael Lyon Solicitors has successfully defended hundreds of motorists charged with dangerous driving. It is one of the most serious charges any driver can face and is our particular area of expertise. The questions listed above are often asked by drivers whose licences are in jeopardy following an allegation of dangerous driving. We offer free consultations, so call today for definitive advice on how to deal with an allegation of dangerous driving in Scotland. The defence of dangerous driving in Scotland has been our particular speciality for over a decade. Below are a selection of reviews from previous clients who were successfully defended by our Firm. Like many before me have said, these guys are top notch and provide professional, understandable advice from start to finish and really make you feel like your in goods hands. Even with an unusual case like mine, it was approached in the same manor as I imagine every other case will be, with diligence and the up most care for their client. if you are on the look out for a specific road traffic Lawyer then look no further, Michael Lyon solicitors are up there with the best at what they do and achieve for a vast variety of cases. This firm is the best. I was facing a dangerous driving charge which would have resulted in a minimum one year ban, large fine and an extended driving test .. I hold HGV, car and bike licence. To cut a long story short i contacted Michael Lyon Solicitors and they put me at ease immediately. They worked diligently and professionally. The result on my day in court ... I left with just 3 penalty points and NO FINE.. Amazing result. Cant thank you enough. BE AWARE BOYS AND GIRLS.... There is a few firms out there calming to be the best .. MICHAEL LYON SOLICITORS LIMITED ARE THE BEST. Last April I was charged with Dangerous Driving and it was looking extremely likely that I was going to be facing a driving disqualification since I had not been driving for 2 years at the time I was charged. I contacted Michael Lyon Solicitors and they were very open, honest and helpful from the beginning, letting me know the potential outcomes. The case continued for a period of months and was due to go to trial. The firm amazingly managed to get my charged reduced from Dangerous Driving down to Careless Driving by negotiating with the Procurator Fiscal beforehand. This meant that I was only given 4 points and a £400 fine which was much less than expected. The firm were extremely knowledgeable, professional and reassured me and my family at all times and were always on hand to answer any questions we had. This is a firm that I would definitely recommend to anyone with a driving charge. I would like to give my sincere thanks to Ronnie Simpson who was the solicitor who represented me on day I was in court. After 6 months of passing my test, at only 17 years old i was caught at more than double the speed limit and faced dangerous driving! I spoke to a few lawyers around Glasgow but as soon as i spoke to Michael i knew he was the one! Dangerous driving would've resulted in a minimum of 1 year ban and a large fine...Michael said he reckoned he could get me "5 points, Careless driving and a decent fine". I personally thought there is no way a new driver getting caught at over 100mph is keeping their license. Today i managed to get exactly what Michael said i could and got Careless Driving, 5 Points and a £400 fine!! I must say a Massive thank you Ronnie and Martin who attended court with me and Thank you to Michael for taking on my case! Hopefully not but if i'm ever in need of another traffic lawyer i wont hesitate for a minute to come back. Thank you! I was stopped for doing 107 mph on the A1 and accused of "racing" the car infront of me by the police which I was not. I was charged with the speeding offence and also Dangerous Driving. This charge didn't really sink in until I got home and done some research. I was looking at a mandatory years ban and a test resit which would potentially put my job in danger. It was then I realised I really need some legal representation. Michael Lyons were the ones that put me at ease and gave me the most confidence initially over the phone. Along with their reviews online like this one and their testimonials I decided they were the best chance I had at saving my licence. I cannot thank Martin Black and the team enough as I felt like a bit of a pain at times sending so many emails back and forth and they were always obliging and quick to respond. I had never been involved with anything like this before and it was some of the worst months of my life with anxiety and stress. On the day of the trial I met with Martin Black who I thought was very professional and friendly. After speaking with him I had no doubts I was in good hands and I felt more relaxed. Before my case was called he managed to get my charge of Dangerous Driving reduced to Careless Driving. I was instantly relieved as he told me when we spoke initially over the phone this was the ideal outcome. With still the possibility of being banned the judge decided I walk away with points and a fine as well as my licence. Cannot thank them enough for that and honestly glad it's all over. Almost a year of worry later. I would without a doubt recommend their services and encourage anyone that was in a situation like myself to be represented by their team. Big thank you to Ronnie Simpson he managed to get my dangerous driving ban reduced to careless driving so I was able to keep my license, excellent firm of lawyers. I was charged with dangerous driving and was looking at a ban which would have cost me my job. Michael Lyons solicitors got it down to careless driving and 5 points, money well spent! On being accused of dangerous driving which holds a minimum ban of 12 months, I was referred to Michael Lyon Solicitors by a family friend. I was immediately impressed by the knowledge and professionalism of Michael himself followed by everyone at the firm. They handled everything on my behalf keeping me suitably informed at all times. On the day of the trial I personally didn’t have much hope for keeping my license especially as I already had 3 points, however my representative on the day, Martin Black worked what can only be described as ‘his magic’ and my charge was reduced to careless driving allowing me to keep my license albeit receiving 8 points. I was over the moon with the outcome and in all honesty did not see it coming. I would highly recommend the firm to anyone in a similar position. I cannot recommend these guys enough after they represented me after being caught doing 107mph, they somehow got the charge lessened from dangerous to careless driving, and ended up getting points and a fine instead of a ban, thus securing my job among other things . If you want specialists these are the guys for you. Excellent service and a truely outstanding result for me . I am confident I couldn't of got this result if I had used any other representation. They don't do wills they don't do conveyancing ,just road traffic stuff. In April 2016 I was caught for driving at an alleged 100 mph on a straight stretch of road in the Highlands. The police officers who stopped me reported me for the offence of speeding and an additional offence of dangerous driving which I strongly denied. 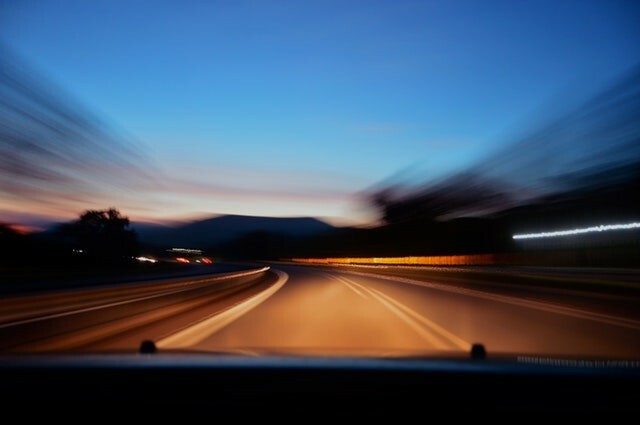 Some seven months later – after the time line for pursuing the offence of speeding had passed – I was shocked to receive papers from the Procurator Fiscal charging me with dangerous driving. With not living in Scotland I did not know who to turn to until I found Michael Lyon Solicitors who I contacted. Even though it was a Saturday morning Michael Lyon contacted me immediately and discussed my case with me, putting my mind at ease that I had committed an offence of careless driving rather than dangerous driving - and all the implications of being found guilty – and that he was confident he could successfully defend me Michael’s solicitor Ronnie Simpson then took over the case. I was very impressed with the way he communicated with me. We discussed the case in considerable detail then he advised me of the course of action he would take. In due course he convinced the Procurator Fiscal – based on what happened – that I was not guilty of dangerous driving. The Procurator Fiscal agreed to reduce the charge to careless driving. I appeared in court in Inverness this week, Ronnie represented me very well. I pleaded guilty and received 6 points and a £750 fine, it could have been so much worse, I could have lost my driving licence for a considerable amount of time! Michael Lyon Solicitors, Michael Lyon and Ronnie Simpson are very professional. They communicate very well both with the client, Procurator Fiscal and the court. Not only am I extremely grateful to them – understatement – but I also highly recommended them. Prompt action by Mr Simpson after eventually receiving documents from the PF tbe day before court appearance, resulted in charge of Dangerous driving being changed to Careless driving. Outcome was a 3 point penalty and no fine . Could have been much worse. Our son was facing disqualification by dangerous driving. Ronnie was successful at getting this reduced to a lesser charge and avoided a driving ban. After the court case was over our son appeared to have made our local town's most wanted list. We contact Ronnie early one morning and he went out of his way to ensure that our son was released from police custody without charge and stopped police being able to impound his vehicle. I would highly recommend Michael Lyons Solicitors and will certainly use them in the future if needed. Having a solicitor that can actually be contacted anytime can make all the difference. Excellent service. I was charged with Dangerous driving and acting in a threatening manner and required the services of the very best road traffic experts money can buy. I cannot recommend The Road Traffic Lawyer highly enough. The glowing testimonials I read on their page was enough to convince me to give them a try and boy am I glad I did. Full marks to Ronnie Simpson, I was kept up to date with developments every step of the way and on trial date, he swiftly dealt with the witnesses and rapidly exposed their lies in court. I was found not guilty on all counts and I cannot stress highly enough to anyone facing road traffic charges, contact RTL today you will not regret it. Definitely worth every single penny of their fee. any prospective client reading this, feel free to contact me anytime if you want any reassurance on the service and value they provide. Ronnie and Team- Thanks a million once again. On particularly beautiful July evening I had the pleasure of driving a Porsche 997 turbo on the A83, a spectacular costal road with long straights and bends as it outlines Loch Fyne. Traffic was relatively light and I knew the road well. That particular 997 turbo is capable of 0-62 mph in a blistering 3.7 seconds. It has an over boost that increases the power to over 500bhp for 10 seconds. I'd overtaken twice on straight stretches leaving Lochgilphead. I had one more opportunity to overtake on a last stretch before coming to Inverary and as I sat at the lights leaving the town I recall how much I was looking forward to breathtaking road down through The Rest And Be Thankful. That was when two officers from one of the cars I’d just overtaken charged me with dangerous driving. They stopped the 2 other cars I’d overtaken and persuaded them to become witnesses against me. I had another 2 hour drive in front of me. Plenty of time to contemplate what had just been spat at me - potential jail time, a 2 year driving ban, resit the advanced driving test and a huge fine. By the time I got home I was pretty miserable! I called Michael Lyon Solicitors and once the citation arrived and I was invited in for a consultation. Martin Black detailed the judicial process ahead and broke down the options that could be available. Just hearing that I had options was refreshing to say the least. When the case was called to trial I was represented by the firm’s Ronnie Simpson. The charge of dangerous driving was quickly reduced to careless, this still carried a potential of 9 points. Ronnie managed to reduce that to 5 points. I’d been advised not to drive o that trial and to prepare for the worst on the 22nd December. Thanks to their excellent work I kept my licence and Christmas was a fantastic one. I cannot recommend or thank these guys more. The work they do is meticulous and produced the best result I didn't think I'd have a chance at. After having advice to contact a Solicitor I found Michael's number online for a free consultation. He advised that my guilty plea to dangerous driving had being tendered incorrectly which I previously thought was only a speeding offence. He was truthful and honest with myself rather than telling me what I wanted to hear. Michael, Ronnie and Martin all took a view into my case which meant great deal rather than just being passed over as I had with other solicitors' in the area before calling Michael. The court correctly reduced this to a careless driving charge after reviewing the footage from the police car Chaps, you've done me a great service and I can't thank you all enough!